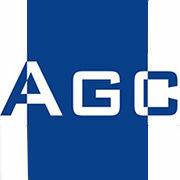 "AGC Real Estate is a growing real estate company that believes in building the dream home of everyone. It try to serve quality living solutions at affordable prices. Its projects are built as per construction norms. It offers basic living amenities to its customers. AGC Real Estate has a team of dedicated people who try to serve quality to its client. It is a sheer combination of modern architecture and style. It is a good option for the families who are looking for low price flats. After achieving commendable success of Sarvodaya Homes, Hometown is looking forward to its upcoming projects(Lotus Green,Park View Floors,Sarvodaya Apartments etc) . Buildings have RCC frame based earthquake resistant structure." Discovered by Flats n floors F.